Made from a patented gel containing pharmaceutical grade mineral oil the Nasal Soft CPAP Cushion is designed to help CPAP/BiPAP users prevent nasal skin irritation, nasal bridge soreness and mask leaks. The Nasal Soft CPAP Cushion is compatible with a wide variety of nasal and full face masks from all major manufacturers. The Nasal Soft CPAP Cushion is easy to use, just place the cushion on the bridge of your nose, between your skin and your CPAP/BiPAP mask, and then wear your mask as you normally would. The extra gel padding of the Nasal Soft Cushion helps prevent leaks and increases comfort, all while preventing skin breakdown, soreness and mask frame marks. 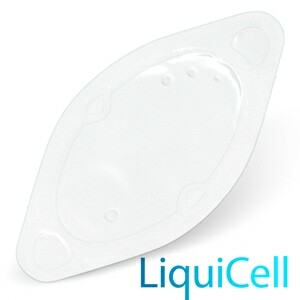 The Nasal Soft CPAP Cushion is made from a patented gel that contains pharmaceutical grade mineral oil. It contains no adhesives, is hypoallergenic, non-toxic, latex free, silicone free, and is designed to not support bacterial growth. 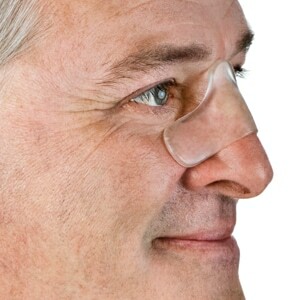 Usage Information: The Nasal Soft CPAP Cushion is intended to be used as a skin protection device only. Replacement of cushions is recommended every 30 days. Do not place the cushion in your mouth, keep the cushion out of direct sunlight, and keep the cushion away from open flames. Mineral Oils from the cushion may leave a mark if placed on furniture, painted surfaces, or fabric for an extended period of time. Works, sometimes it will leak if I don't get it positioned correctly. It was a very good experience, I'm very pleased with the product it works great. And I will buy more. I can't fit it comfortably under my mask. I had high hopes that using the nasal cushion mask pad would help keep the mask in place and stop the dinky little air leaks during the night. No such luck. I don't understand how the device stays on the faces in the ads. My cushion pad keeps slipping and makes putting the mask on a frustrating experience. On those nights when I am successful in getting both the cushion pad and the mask comfortably on my face I find that the cushion pad is easily displaced during sleep. I'm still trying but as of today the mask functions better without the pad, my sleep is better and I am more comfortable without it. 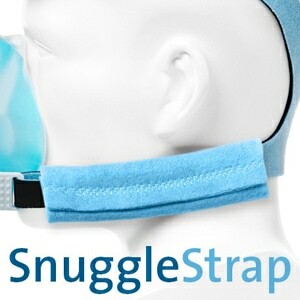 CXC Notes: Hello, We are sorry to hear the the Nasal Soft CPAP/BiPAP Cushion Mask Pad did not work out for you. Due to FDA regulations regarding cross contamination and the resale of medical supplies and devices we cannot accept returns on any equipment where the manufacturer's or supplier's packaging has been opened. 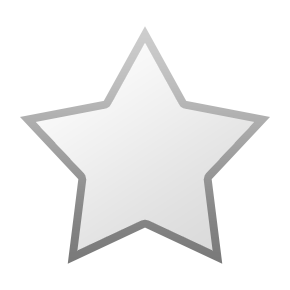 Sleep well, cpapXchange. I have trouble with the cpap mask irritating the bridge of my nose and leaking. This solves the problem. Only thing is that the cushion is designed for a much larger nose and face. Once I get used to positioning the cushion, I may trim it down so less is flopping on the bridge of my nose. I ordered 2 blue cushion mask pad. I am so dissppointed. It never stayed on an yes. We followed directions. My money was wasted, not good. The cushion mask did not alleviate the irritation caused by the mask. My TrueBlue mask is now ruined. The liner worked great the first night, kept a tight seal and I was in heaven. 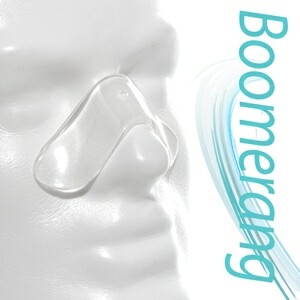 No more pressure point marks/bruises on my nose bridge. HOWEVER, I noticed the second night that my mask wasn't sealing like before. Third night, same thing. I took my mask off and really looked at it the next morning and the cushion's soft outer flap (silicone) was warped out of shape and felt "thinner" where the mask pad had been. Now it's ruined. So, I recommend this but with a big BUT: don't use this if you have a silicone mask flap. It'll ruin it quickly. Now I'm in the market for a new mask! I never knew these existed. It is wonderful and helps with keeping the bridge of my nose from hurting. Only complaint, you do have to keep it in place until you place your mask. Not really a complaint. This product does what is advertised if you follow the directions. I have to wash my face good and get in bed to put it on but it works fine after that. No more sore nose and no more air leaks. I had to work with it the first couple of nights to get it right but no problems now. Have tried them all and the blue from this company works the best. These thing is completely incompatible with the form factor of the Fisher & Paykel FlexiFit 431, it actually caused the leaks around the eyes to get about 4x worse than previous. Exactly what I needed. Protects the part of my nose that gets sore. Perfect thickness. This pad is too thin to stop air leaks and it is too large for a woman who has a small face. I did not like this product it caused the mask to sit unevenly on my face so that the frame from the mask pressed into my skin leaving an abrasion. 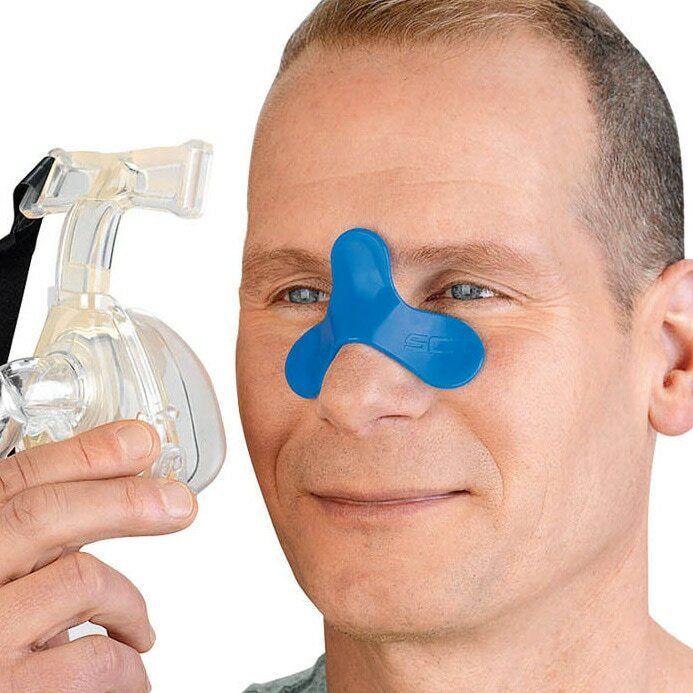 This product does not stick to the skin, so putting it on and then putting on the CPAP mask is an impossible struggle. Furthermore, it does not cover the leak areas. Ordered product, it was shipped and received within 3 days. What more can you ask for? This pad would be great if it didn't cause my mask to leak air. I am very disappointed in the product. The nasal pad has been a godsend. My nose developed scabs from the face mask. Band aids were painful when removed. I sleep better since my nose doesn't hurt & I don't have any marks or gouges in the bridge of my nose. I was looking for a larger size nose pad for my Cpap mask. I wish a manufacturer would take note and bring one out like the one. Chi-San made until it was bought out by a rival. Great product. Very timely in shipping to me. Also great price. Mask pad works, sort of, if you can get it to stay on your face. To do this, I need to use medical tape. Certainly better than nothing, but far from great. I've used the CHI-SAN cushions for several years. Couldn't find Chi-San, so thought I'd try the Nasal Soft pad. It works fine. Of course there are leaks. There are always leaks. After I've poked at the mask a while, it seals well. I can't say anything about durability since I've been using it for only a week or two, but it seems to be holding up well. All in all, a good product. Shipping was quick and that's always appreciated. I did not like this product, slips out of place and does not seal properly making the mask leak air. I am not using it. I have it does not cover the whole nose area and it not work for me. I use a full face mask and I have a very high pressure setting on my bipap (28). Because of this I need to adjust the mask fairly tightly to prevent leaking and thus I get a pressure spot on the bridge of my nose. It is difficult to use this and get a good seal with those conditions but I can usually get it to work for the first hour or 2 of sleep. After that I get a little too much leaking and remove it. But even this short time helps relieve the pressure and a few days at a time using it helps a lot. Bottom line for me is that it works well for short durations and is a worthwhile purchase. Overall this is a good product. 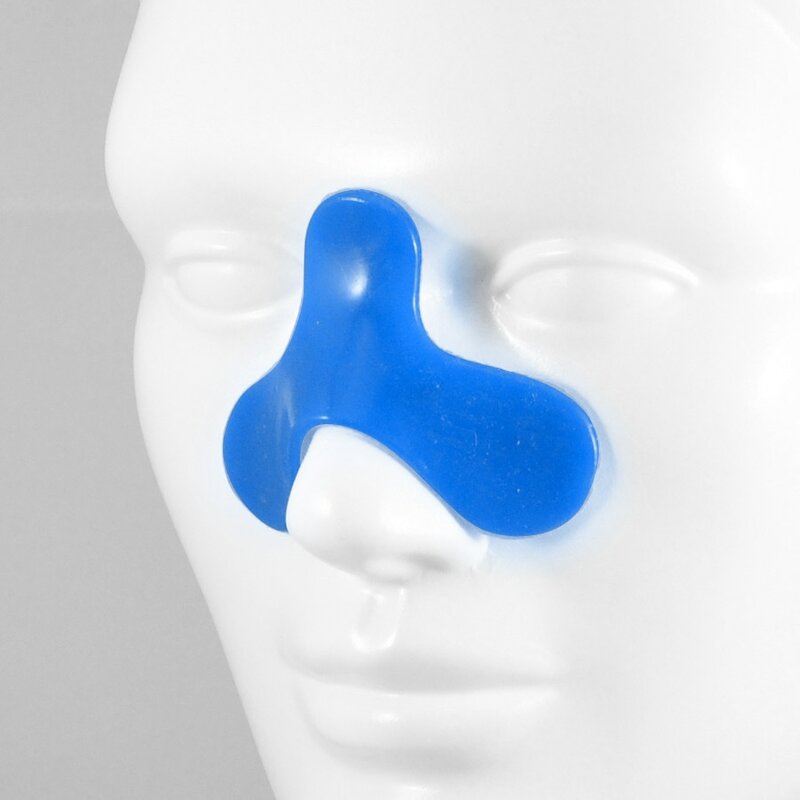 It has really helped allow the damage on my nose to heal. The only negative side to the product is that it is hard for the mask to seal at the edge of the pad. It would be nice if they could taper the edges of the pad. I have used a full face mask for about a year and a half and it always rubs the bridge of my nose. At one point it rubbed it raw and I now have a permanent scar. I've tried various types of bandaids and other items to protect my nose. Even the hypoallergenic ones that prevented the mask rubbing my nose still irritated my skin. The cushion mask finally meets my needs. It's extremely comfortable, easy to use and clean, and leaves no marks in the morning from any type of irritation. A wonderful product. I wish I'd found it a year and a half ago.